KSGAC have a number of staff members who support the members of KSGAC, a non-for-profit business. If you would like more information please contact KSGAC directly. 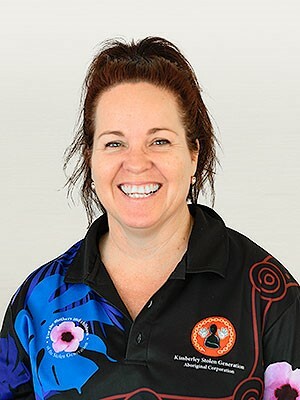 I am a Noongar woman from the South West of Western Australia and I have been working with KSGAC in various capacities since just prior to its establishment in 2001 and have enjoyed watching the organisation grow from strength to strength. 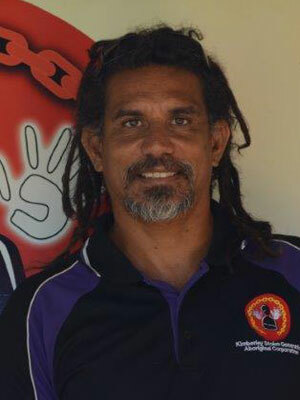 I am currently employed as the CEO and enjoy working with the Board of Directors and the Stolen Generation Elders. My aim while working in this role is to ensure the longevity of the Organisation so we can reach our full potential and ensure that the plight of the Stolen Generation elders, both past and present, is never forgotten and that their history, their stories and the lives are remembered through establishing a genealogy data base that encapsulates oral history, videos/images and other relevant information for all future generations. I welcome all visitors to town to come in and experience what we have to offer, meet our wonderful staff and enjoy the relaxing atmosphere of our beautiful grounds. Support our cause by purchasing our Sorry Day Flower, on sale on line or at the office. I’m a Bard man from Lombadina Community. 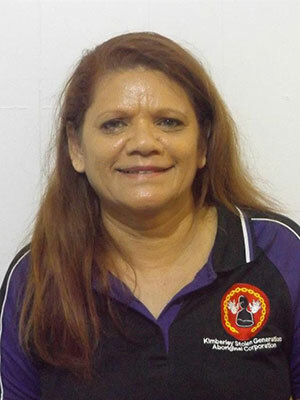 I have family throughout the Kimberley and know the KSGAC and its services really help our clients. 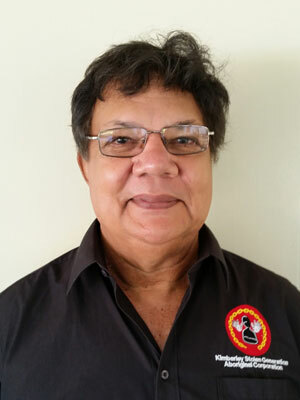 I work as the Senior Counsellor for KSGAC to support clients and staff including our Link- Up Caseworkers and I travel a lot on field trips throughout the Kimberley and really enjoy what I do. 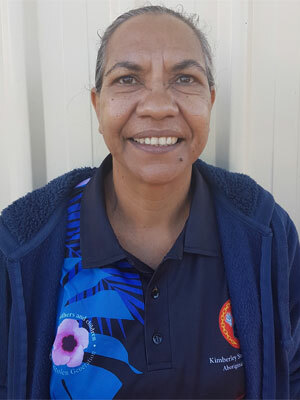 I have a strong background in Health and Counselling and enjoy spending time on my family block in the East Kimberly where I am building a family home. I have family who have been affected by the past removal policies and this is something that I understand and am passionate about. I also enjoy helping other people. My family is from the Pilbara and the Kimberley. I started with the KSGAC in 2016. My role came about after the Royal Commission into Institutionalised responses to child abuse. I assist eligible clients with Redress applications and referrals to other counselling supports. I maintain a supportive and confidential position when working with clients. I also network with other services to reach out to other potential clients. I support clients in Broome and conduct field trips to Bidyadanga and the Dampier Peninsula to meet with clients. I have a background as a Health Worker and love camping, fishing and being with family. 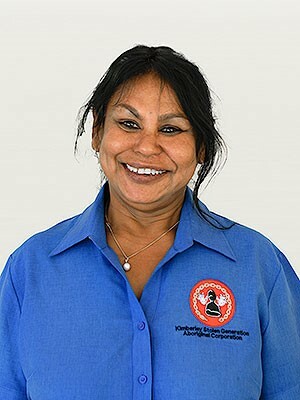 I am a Nykina/Nyul-Nyul woman from the Dampier Peninsula of West Kimberley. I have lived predominately in the Kimberley, Pilbara and Perth Metropolitan area. I have extensive personal and professional knowledge of the communities, language and family groups in the region. I also have a working knowledge of the languages in the Kimberley area and I assist eligible female clients with Redress support. I work in Broome and travel to Bidyadanga and the Dampier Peninsula to help clients. I have had many years’ experience working in the area of Education, Health and Community Work both in the Metropolitan area and regional areas. I enjoy spending time on my family block fishing, camping as well as travelling. In saying this in the various fields I have worked in I am committed to supporting our countrymen as the Redress Officer throughout the Kullarri Region. 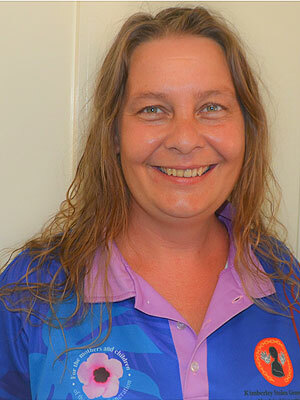 I am originally from Germany and have lived in the Kimberley for over 8 years years working mostly in tourism and know how special the region is. I love the KSGAC and work hard to ensure we are accountable to members and funding bodies. I love helping the organisation save money and always ensure that I get the best value on all things the organisation purchases. I also love working with the Stolen Generation Elders and the many visitors that come through the office. The KSGAC does great work and a highlight in 2018 for me was proudly participating in the Broome NAIDOC walk with our staff acting as Marshalls, an easy job as the community knew the way. We walked with 600 other people for the Reconciliation Walk; it was a very special day. 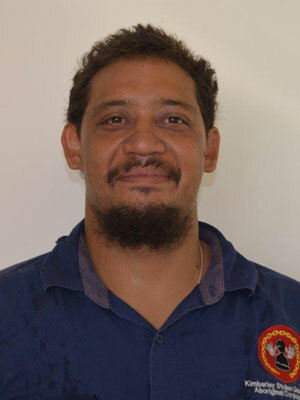 I am a Yawuru person and I work as the Groundsman at KSGAC. I love working at the KSGAC and the old people always come here because they feel comfortable. My Great Grandmother was a Stolen Generation person who was taken to Moola Bulla and some of my Aunties were taken to Beagle Bay. I love the different cultures that I come from and love listening to the stories from the Stolen Generation Elders, especially on our long trips together and when they visit the organisation. I am from Derby and I have links with several language groups throughout our region I am interested in helping people and know that our relationship within the community helps us to build up trust when we do our job as Link-Up Caseworkers. 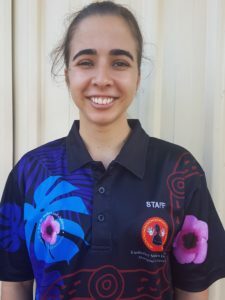 Connecting with people is key and feel it is a privilege to assist Kimberley Stolen Generations. I support people in the Central Kimberley area around Halls Creek, surrounding communities and Broome, the Peninsula and Bidyadanga. 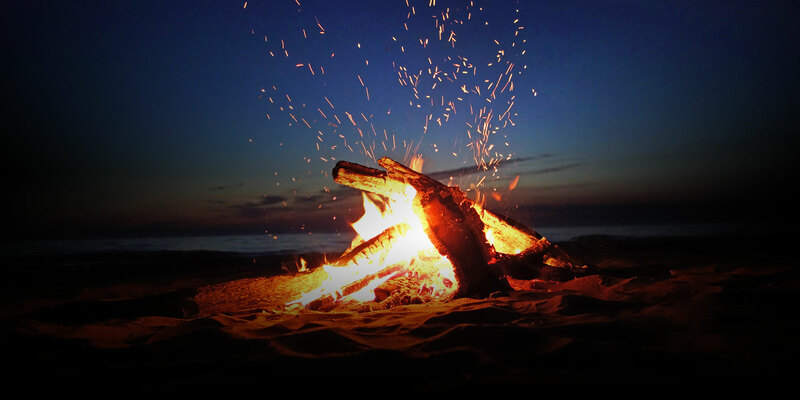 I enjoy spending time with family, going out on country, fishing and camping. I am from Scotland and have gained a wealth of cultural and life experiences having lived in numerous countries around the world. I have resided in Broome for ten years and am absolutely dedicated to the ethos and credo of the KSGAC. As a Link-Up Caseworker I am a happy and caring person and look forward to meeting you and helping in any way I can. I support people in the East Kimberley and Broome. Being born in Scotland I grew up with strong cultural ties to my clan and country and understand the importance of this in making me who I am today, you must know your history and where you come from. I am a Worimi Woman from N.S.W. and am known as a Journalist and also as a Counsellor. 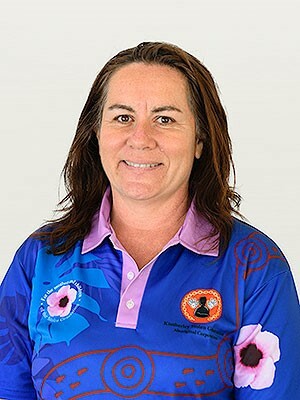 My mum taught me where there is a will there is a way and I believe communication and education in Australia are powerful tools to use to assist Aboriginal people with social and emotional wellbeing. I help with events including the many education groups who come to KSGAC, the Healing Art class for members and the KSGAC Website and Newsletters. 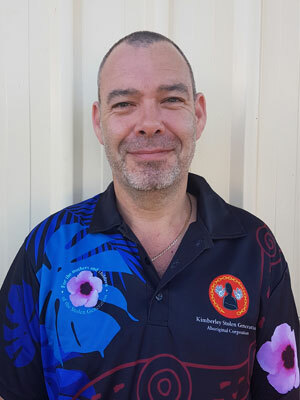 I love the Projects Officer job as it creates widespread awareness and assists the Stolen Generation members as demonstrated through the success of KSGAC’s National Sorry Day flowers and other projects. 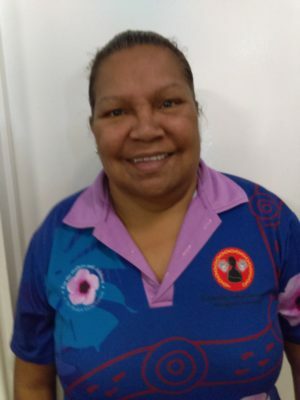 Hello my name is Pauline McKenzie; I am a descendant from the Ngarinyin People in the East Kimberley my mum’s tribe, Kija East Kimberley and Jabir Jabir West Kimberley my father’s tribes. I am very proud to be working with Kimberley Stolen Generation as my mum was stolen at 3 years old and she lived on this block in the orphanage so this place holds special memories for me. My work at KSGAC involves working closely with the Link-Up Caseworkers. I can assist with family research and have been undertaking training in Perth at Yorgum around research so I’m looking forward to putting all this training into practice back home. As a Senior Staff Member of KSGAC I look forward to helping new staff adjust and working with the Stolen Generation Elders and Clients. I am originally from South West WA and moved to Broome April 2018. I have a background in Business, Tourism, Health and have been studying Community Services for the past year. In doing my Community Service course placement with KSGAC I thoroughly enjoyed spending time with our members and supporting the organisation. I currently work on numerous projects as well as Executive support. I am passionate about the KSGAC and its aims to support our members in accordance with the Credo and Nolan Principals.